Jamboard is Google’s new smart whiteboard. It offers a means for real-time collaboration during team meetings, with a specialized Jamboard app that team members can download on their smartphones or tablets in order to contribute to a brainstorming session. DP&S arranged a Jamboard demo session with a GSuite representative. Unfortunately we did not have access to a physical Jamboard during the demonstration. Instead the rep, who met with us via Google Hangouts, invited DP&S staff to participate in a “jam” and demonstrated the board’s features. The Jamboard app suffered from considerable lag, and the usefulness of the physical board seemed limited. Participants were able to do things like add images and text to the jam, and the Jamboard app can recognize handwriting and reformat it as digital text, but it seemed less efficient than using a physical whiteboard. 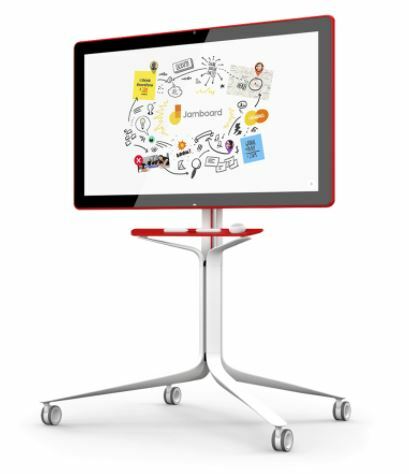 Jamboard may be a useful tool for groups that have frequent “spitball” sessions, who prefer the flexibility of a whiteboard, and who would like to include members who may not be able to attend in person. Aside from the interface, though, there is little reason why existing tools (such as Google Docs) can’t be used in essentially the same way.